While many people may think painting the shells of tortoises is harmless fun, the Florida Fish and Wildlife Conservation Commission (FWC) wants to remind everyone that the activity has serious consequences. In a Facebook post, the conservation group recently highlighted a call during which the officers "...encountered something very disturbing – a blue gopher tortoise! Someone sprayed the tortoise with blue paint." The FWC notes, "It is both illegal and very harmful to the health of a gopher tortoise to paint any part of their body or shell. Paint can inhibit their ability to absorb vitamins from the sun's UV rays through their shells, has the potential to cause respiratory problems and can lead to harmful chemicals being absorbed into their bloodstream. Further, removing the paint without harming the tortoise is a challenge." Fortunately, the affected tortoise in this case is doing fine. 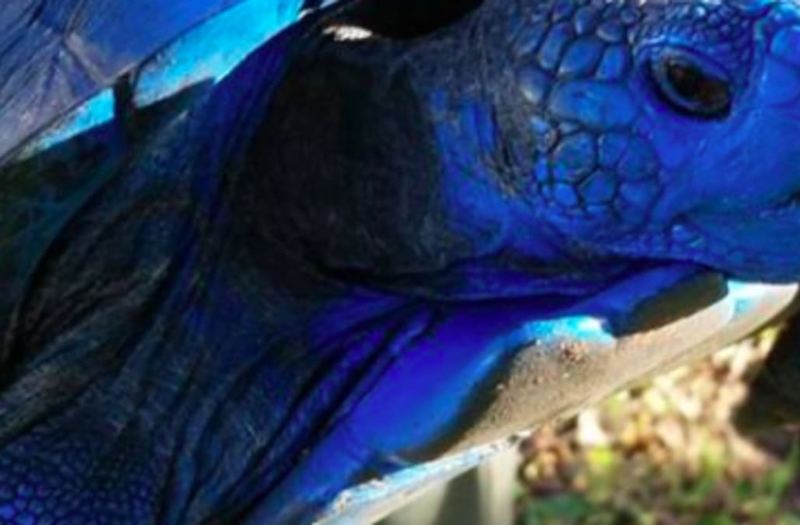 According to the post, "...the tortoise was taken to an animal rehabilitation facility for paint removal, where it recovered and was eventually released back to its burrow with a slight blue hue."